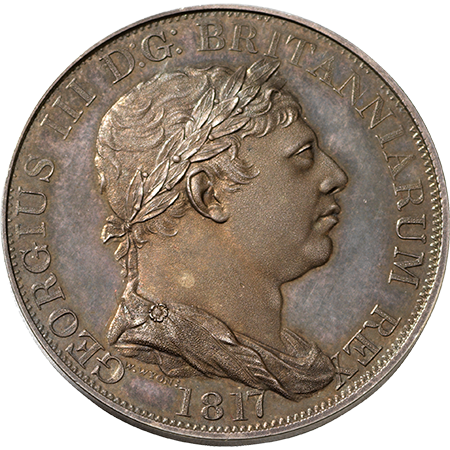 George 111 crown Incorrupta 1817 by W.Wyon. ESC 229. 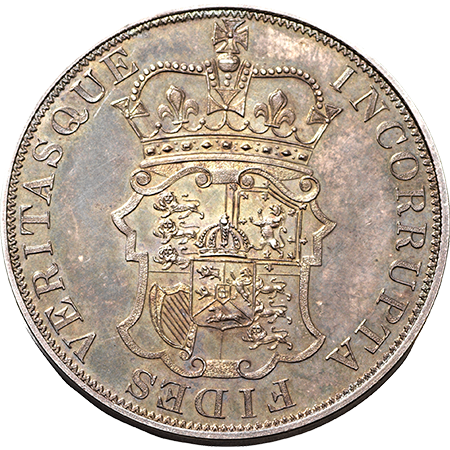 Purchased from Baldwins, 1945: Slaney, Spink auction 14/5/2015 Lot 522. Dark toning on underlying brilliance. Very Rare & mint state.